It’s hard to stay motivated to keep fit, stick to your goals, and maintain a healthy diet with the fall weather getting cooler and the holiday season approaching. So I wanted to give you a few easy ways to stay fit this fall to help keep you on track and stick to your goals. Workouts are usually the first to be crossed off the list when your schedule gets busy, but this is the most important thing to keep on the list. Stick to your fitness goals as there are many added benefits to improving your health. Working out helps to decrease stress, keeps your immune system strong, and keeps your metabolism pumping so you can burn more calories and fat, just to name a few. You haven’t worked hard all year just to let it go to waste now. Time For Change Personal Training has fitness groups several times per week, or I can come to your home, place of work during lunch, or a local park for personal training to help you with your fitness goals. 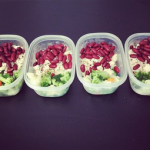 The other part that suffers when you get busy is your nutritional intake or diet. 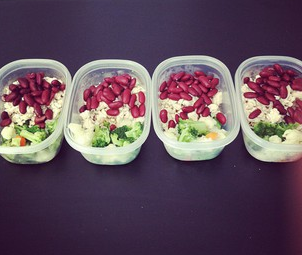 First, try to plan one day a week where you pre-make your healthy meals so you can freeze some and have some ready to go to heat up quick when you get home. Most people will try and do this on Sunday so they’re ready to go for their busy week of work, school and kids activities. Make sure you minimize processed foods as much as possible. Pre-packaged foods and fast foods have a lot of unknown ingredients that can easily throw your diet off and are very unhealthy. Do your best to eliminate refined carbohydrates such as sweets, sugary drinks, white flour in breads, pasta, snacks, white rice, and potatoes. When you must eat out, try to make healthy choices from the menu, but watch out for extra hidden calories in dressings and sauces. As an example, if you’re having a sandwich, select a grilled (not breaded) chicken breast or fish and ask if you can replace the bread with lettuce, for a lettuce wrap or just don’t eat the bread. Skip any appetizers and desserts and just order the main meal. If you feel you need something sweet, choose a fresh fruit, and substitute refined carbs with foods like brown rice and extra vegetables if possible. 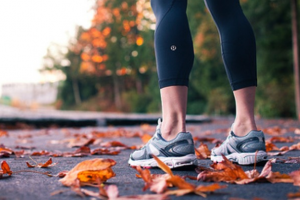 Hopefully these simple tips will help you stay fit this fall season. If you want the personal accountability to meet your fitness goals and to finally break through the weight loss issues, click here ==> Time For Change Personal Training Services to see what I offer to my clients that will help maximize fat burning, so you can get stronger, more fit, and get the nutritional info you need to succeed.